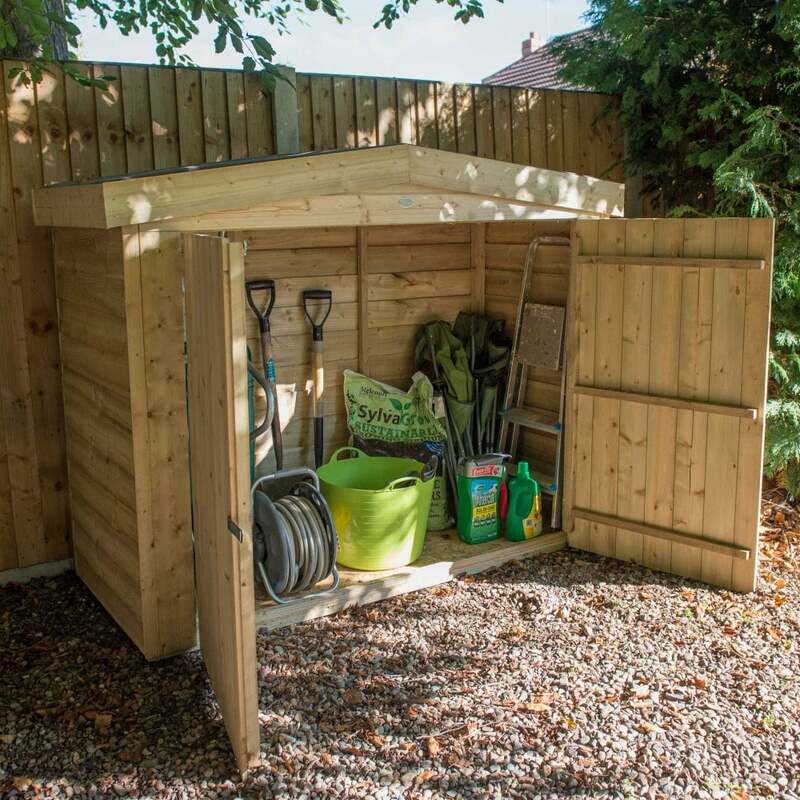 Forest Garden Pressure Treated Overlap Apex Large Outdoor Store: The Forest Garden overlap outdoor store offers ample storage capacity of 2000 litres with a base of over 6ft, ideal for storing bigger garden items or bikes for a great alternative to a shed. The roof and floor of the garden storage unit is built using 8mm OSB sheet board and 7mm overlap cladding for the walls with shiplap tongue and groove front panels. The Forest Green outdoor store is constructed using FSC certified timber and the pressure treated bearers keep the floor off the ground to ensure that items are stored moisture free. The garden unit has a traditional apex style roof and includes sand felt material to protect your storage from adverse weather.